Just because it's cold outside, doesn't mean your bedroom should be. So it's time to turn up the heat! Named after the Greek goddess of love and sexuality, Aphrodite, aphrodisiacs have been used for centuries to increase desire as well as performance. Although these herbs can enhance your love life, sexual dysfunction may be a sign of a serious medical condition such as diabetes, heart disease or hypothyroidism or a side effect of medication. Underlying psychological and emotional issues may also need to be addressed. Here are some aphrodisiacs to try with your love tonight. This Mexican plant is a classic aphrodisiac herb used by ancient native Americans. Damiana's hot and spicy nature increases blood flow to the pelvic region. It can also relax smooth muscle tissue promoting penile erection. In addition, plant compounds of damiana may have similar effects to progesterone. Other conditions damiana is used for include asthma, anxiety, depression, headache, urinary tract infections, and menstrual disorders. The leaves of damiana can be brewed as a tea or you can take them as a tincture or capsules. This "heating" root helps circulation and has stimulating effects. It is particularly useful for erectile dysfunction (ED). In one study, after taking ginseng for 8 weeks, men with ED showed improvement compared to placebo. Unlike drugs like Viagra, ginseng must be taken continuously to have an enhancing effect. 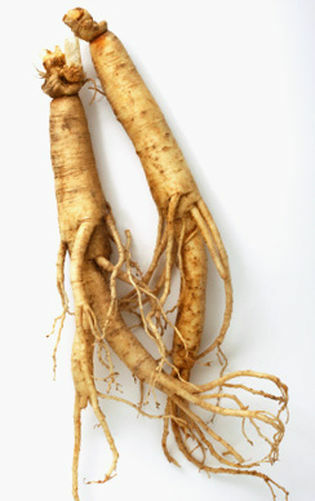 Ginseng can lower blood sugars so it should not be taken while on diabetic medication or for people with hypoglycemia. It can also increase blood pressure so should not be taken if you have high blood pressure. It is typically taken as a pill or liquid extract or drank as a decoction. Finally, an herb for the ladies. It is sometimes known as "Peruvian ginseng" because like ginseng it increases stamina, energy, and sexual function. Some studies have shown positive effects on sexual dysfunction or sexual desire in healthy menopausal women. This herb may also be beneficial for depression sufferers with low libido. In one study, researchers found that maca may help improve libido in people taking SSRI antidepressants like Paxil or Zoloft. In addition, it has been shown to enhance fertility in men and improve moods during menopause. It is typically taken as a pill or liquid extract or as powdered maca root. This herb has been recognized by conventional medicine as a genuine aphrodisiac and a useful treatment for ED. It stimulates nerves in the sacral area of the spinal cord, which are necessary for sexual performance. Its ability to treat ED maybe due to the fact that it is stimulating to the sympathetic nervous system and increases blood pressure. For this reason, it is not recommended for people who have high blood pressure, PTSD, and panic disorders. Yohimbe is also an effective antidepressant acting similar to an MAOI and increases the breakdown of fat cells aiding in weight loss. Unfortunately, this herb is being overharvested and is at risk of becoming extinct. So a combination of damiana and ginseng may be a more ecologically friendly option. If you would like to prepare your own passion-inducing potion, click here for my Herbal Aphrodisiac Miel recipe to share with your honey.